Central government today got a major relief with the Supreme permitting linking of Aadhaar cards in welfare schemes that also included MGNREGA, all pension schemes and the provident fund besides ambitious flagship programmes like 'Pradhan Mantri Jan Dhan Yojna' of the NDA government. 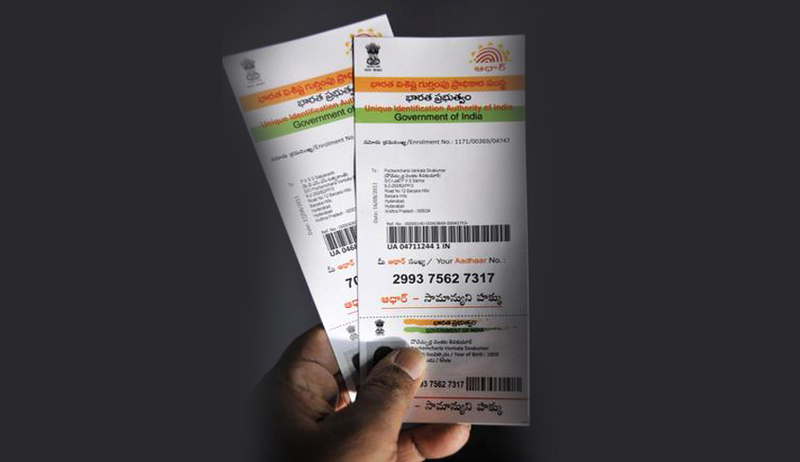 The social welfare schemes, aimed at reaching to the door steps of the poorest of the poor, were in addition to LPG and PDS schemes in which the apex court had allowed the voluntary use of Aadhaar cards on August 11. A constitution bench headed by chief justice H L Dattu had modified the order following a fervent plea by Attorney General Mukul Rohatgi who represented the Centre. A five-judge bench headed by Chief Justice H L Dattu also put a rider in its interim order for the Centre and said, We also make it clear that Aadhaar card scheme is purely voluntary and not mandatory till the matter is finally decided by this court, this way or the other way. The court is hearing PILs filed by a former high court judge Justice Puttaswamy and NGO Society for Civil Rights who while challenging the constitutional validity of the cards raised the issue of right to withhold personal information and intrusion into right to privacy by the state. Two of the interveners in the case-- Reetika Khera, an Economics Professor at IIT Delhi, and Sahana Manjesh, a lawyer—have contended that biometric identification denoted for UID, namely the iris scan, finger print identification, and the personal details collected, can easily be misused by a miscreant. They contend that the manner in which biometric details are collected - without any safeguard by private contractors and NGOs hired by the UIDAI makes it prone to misuse. The bench, while including the four other schemes along with LPG and PDS where Aadhaar may be used, said, The Union of India to follow all other orders passed by this court since September 23, 2013. It also said the Constitution bench, which also included Justices M Y Eqbal, C Nagappan, Arun Mishra and Amitava Roy, was set up only for the purpose of deciding applications filed by the Centre and bodies like RBI, SEBI, IRDA, TRAI, the Pension Fund Regulatory Authority and states like Gujarat and Jharkhand seeking modification of the August 11 order. Explaining in detail the concept of the UIDAI number which is linked to various welfare schemes. Rohatgi had earlier told the court that the issue of privacy cannot be linked to the Aadhaar card as the government is making efforts for those who cannot reach the court. “I am for those who have to take benefits of MNREGA, pension schemes etc. How it is understood that somebody is snooping into someone’s bedroom. I am not doing that and I am not a paparazzi”, he said. Venugopal appearing for an NGO, Centre for Civil Society, said for a poor person and a widow it is a option to choose between the right to privacy and benefits of welfare schemes and questioned that can a person not waive of the right to privacy on weighing the two options. However, senior advocates Shyam Divan and Meenakshi Arora, appearing for some other petitioners, objected to the pleas for modification of the interim order saying that the matter has already been referred to a Constitution Bench and the smaller bench should resist from venturing into the interim applications.